Ideal for police patrols or meter collections. 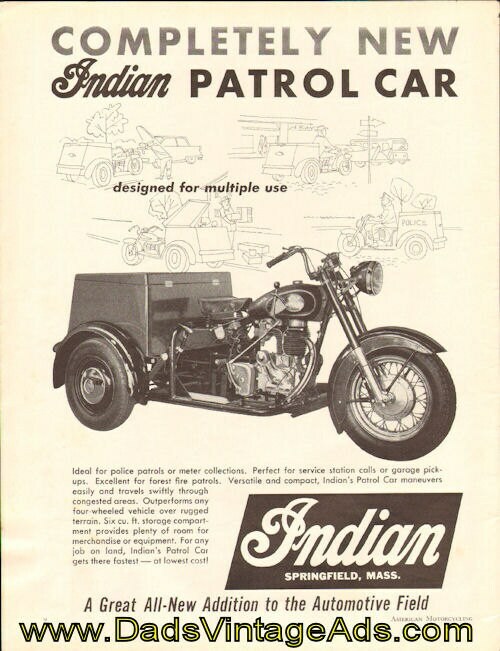 Perfect for service station calls or garage pickups. Excellent for forest fire patrols. 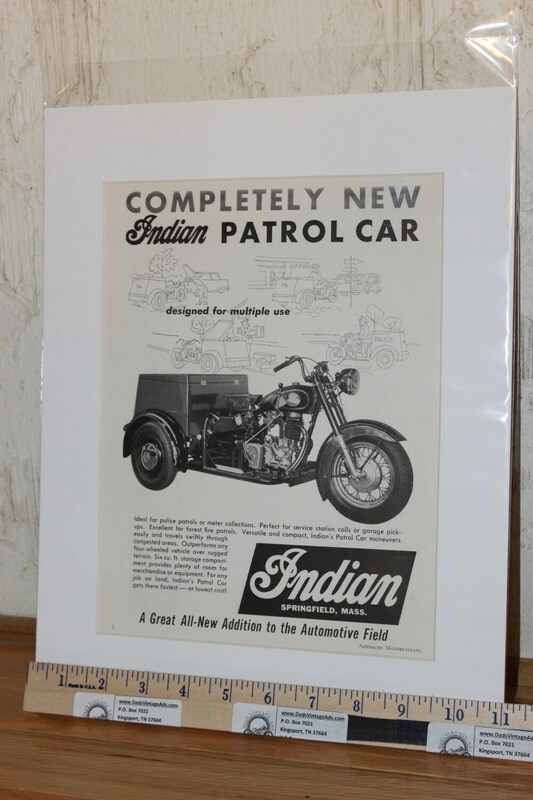 Versatile and compact, Indian's Patrol Car maneuvers easily and travels swiftly through congested areas.